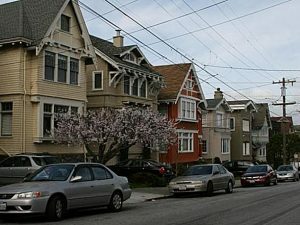 Long known as a working class nabe, Sunnyside has crept onto the radar as prospective home buyers are drawn to this relatively unknown part of San Francisco. 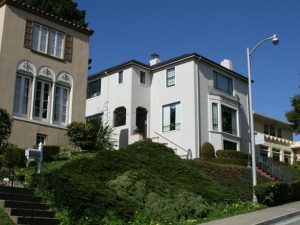 South of Mount Davidson and the more exclusive Westwood Highlands, the nabe is wedged between Interstate 280 and Monterey Boulevard, its main commercial corridor. Property here runs the gamut from no frills apartment duplexes to turn of the century cottages. So, the Sunnyside doesn’t have hipsters rolling around on fixed gears, but it has ample parking – a San Francisco rarity. It doesn’t have specialty boutiques or gourmet groceries, but it has several shops you can grab a quick sandwich or cup of coffee. What the Sunnyside lacks in pomp and circumstance it more than makes up for in serenity. It’s a quiet neighborhood full of affordable single-family homes, legal in-laws and several apartment complexes. It’s the perfect neighborhood for couples looking for a safe and quiet neighborhood to raise a family or singles looking to escape the hectic sites and sounds of the more trendy neighborhoods. If you’re looking for nightlife, you won’t find it much here, except for the local (and small) Friends bar and the impressive Japanese restaurant K’s Kitchen – a fairly new and welcome addition to the neighborhood. There are several delivery options, mostly Chinese, in the area, and a burger spot that can help you out on those evenings after a long day at work and no energy to make a large meal. Crime is considerably low thanks to an active neighborhood watch and a local police station. San Francisco city college is just blocks away, making it the perfect neighborhood to live if you’re looking to take a few classes or use the track or tennis courts for a weekend workout. 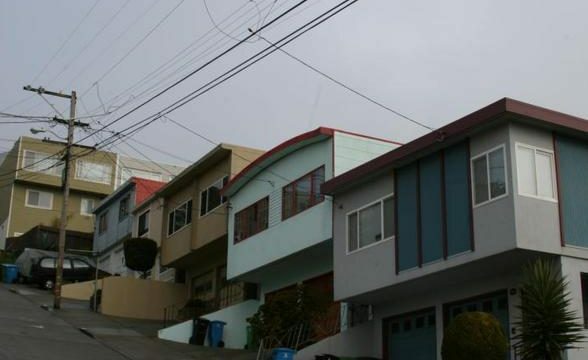 It’s not a popular San Francisco neighborhood and most people, when told about it, ask “Where the heck is the Sunnyside?”, but that’s the way residents like because it keeps it their lovely little San Francisco secret. You know what? Sunnyside is a really nice little nabe! Even though it doesn’t have many bells or whistles, it’s safe, clean, and there are lots of affordable single-family houses and apartments ready to call home. There aren’t any 5-star restaurants, but you can be sure that there are ample options for food. Sunnyside’s proximity to San Francisco City College makes it a great place for students or people pursuing further education to live, as well. 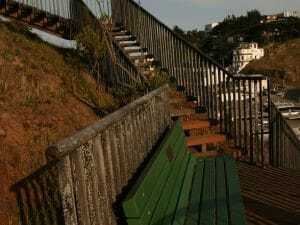 It may not be Presidio Terrace, but Sunnyside makes the most of what it’s got. Sunnyside is not much to look at now but I bet it will turn as people are priced out of other parts of the city and turn to nabes like Sunnyside as options.